Discount bulk Men/Unisex Short Sleeve Pocket Tees, personalized with your logo. 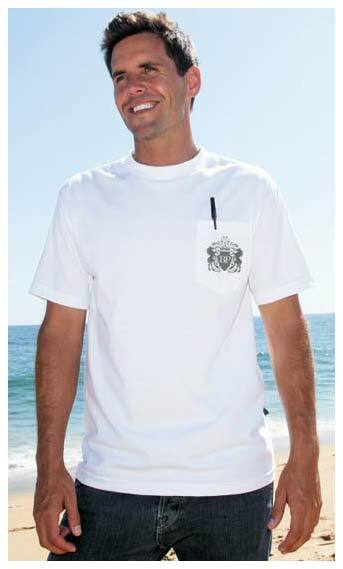 Budget Prices in the USA and Canada for customized Men/Unisex Short Sleeve Pocket Tees in bulk. 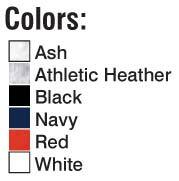 Our high quality, yet inexpensive wholesale Men/Unisex Short Sleeve Teesmay be custom imprinted. That means we can print even the most complicated designs with incredible details. High-Def makes the colors really pop, too. Free artwork design. American clients pay no taxes. Custom Printed T-Shirts with Pocket. Promotional, Inexpensive, Unisex. Budget Prices in the USA and Canada. Unit Prices in the top row of prices below, include the Pocket T-shirt, size S-XL and your 1 Color Custom Silk Screen Imprint in one location. Add the amount shown for each additional imprint color, per location, per Pocket T-Shirt. Add the amount shown below for larger sizes. Setup Charge: $20.00 per color, per location. Estimated Production: 5-10 working days after art approval. 100% Cotton Personalized Men / Unisex T-Shirts with Pocket.